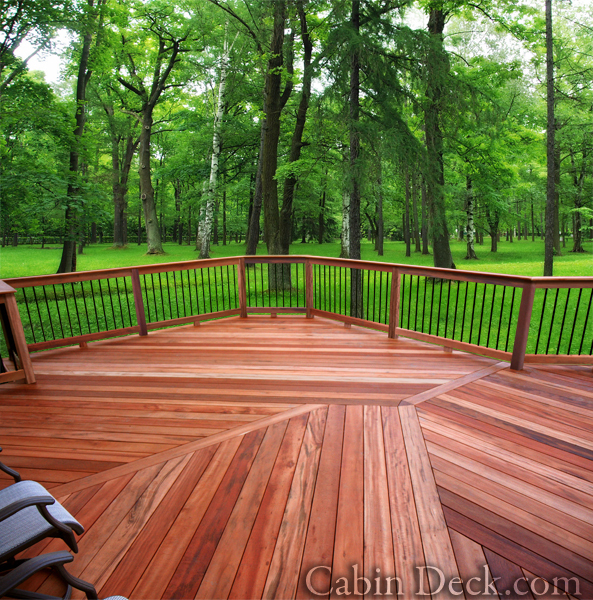 CabinDeck.com supplies hardwood decking materials that enhance the look and performance of your personal outdoor escape. Whether you want to renovate your cozy hideout in the woods, or build a grand retreat by the lake, a hardwood cabin deck is an addition with many benefits. With a project as important to the look and feel of your outdoor cabin, why settle for anything less than the very best material? Our line of durable exotic hardwood decking material will ensure that your cabin deck remains strong and beautiful for years to come. In addition to traditional deck boards, we also offer decking tiles, which can give your cabin a truly one-of-a-kind feel with less installation hassle. 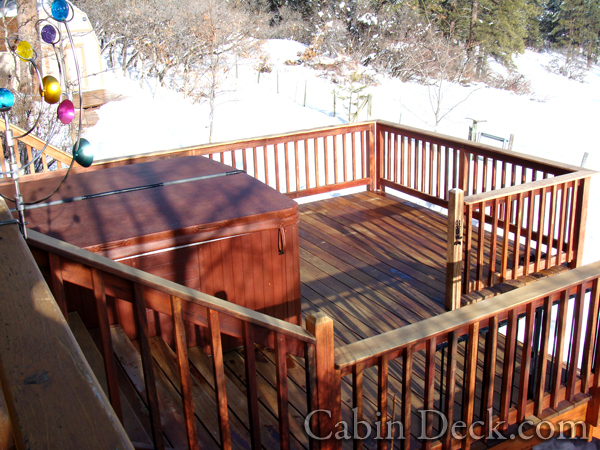 Finish your cabin deck with one of our complete railing systems. Milled from the same hardwood as your deck-boards, they are an attractive and safe addition to your retreat. We also offer the best Pressure Treated Lumber for deck framing. You can use our handy decking calculator to figure our how much lumber you need. 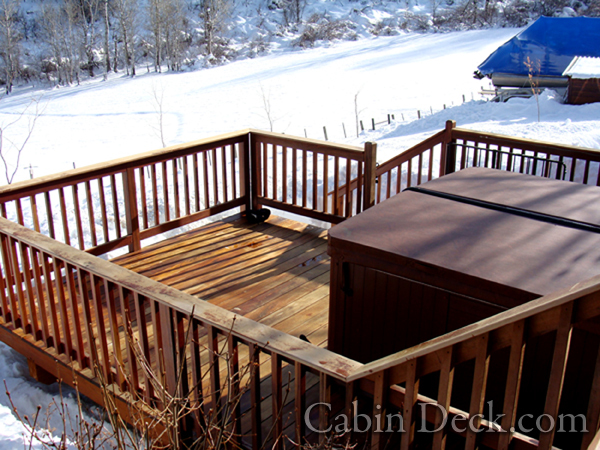 See our gallery in the right-hand column for some gorgeous examples of what your cabin deck could look like. Then, check out our decking comparison charts to see why our exotic lumber is the best choice. Contact us to buy your cabin deck material. 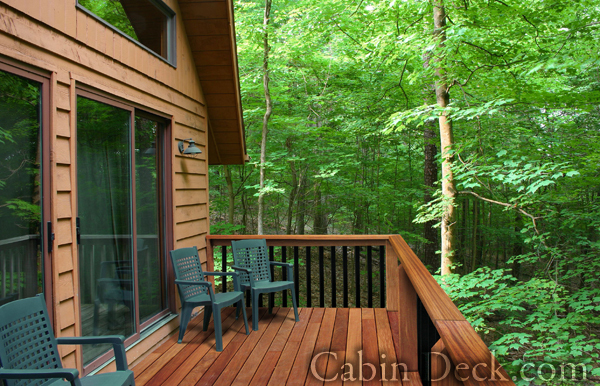 See our gallery in the right-hand column for some gorgeous examples of what your cabin deck could look like. Check out our comparison charts to see why our exotic lumber is the best choice, then contact us to buy your cabin deck material. © CabinDeck.com, All rights reserved.